When posting, tweeting, or promoting, motive matters. On social media, most people post some type of selfies. But not all selfies are created equal. Some people post only self-portraits, some “photo drop” (we’ll call this online name dropping) snapshots with important people. Others portray themselves as one of the “cool kids” by posting group shots, showcasing impressive affiliations. Some people post selfies of themselves first thing in the morning, with no makeup, au natural. Others edit heavily, adjusting color and lighting and muting flaws. What does it all mean? First of all, posting on Facebook does not make you a narcissist. That title is earned through what you post. What do you want others to know about you? That you have finished a marathon, finished your taxes, or finished dinner? Or are your posts other-focused, celebrating accomplishments, providing encouragement, and promoting worthy causes? When judging someone through their social media presence, as with interpreting other social behavior, motive matters. P. Sorokowski et al. (2015) authored a study that discovered what the title implies: “Selfie posting behaviors are associated with narcissism among men.”[i] They tested a sample of 1,296 individuals, scoring them on narcissism subscales of self-sufficiency, vanity, leadership, and admiration demand. They examined three types of selfies: selfies of oneself, with a group, and with a romantic partner. They discovered that although women posted more of all three types than men, their selfie posting was unrelated to their narcissism score. With men, however, they found a positive correlation between narcissism and posting selfies of all three types. Specifically, men’s selfie posting correlated with their vanity, leadership, and admiration demand scores. With women, admiration demand was the only subscale of narcissism that predicted the posting of selfies — but only of oneself or with a romantic partier, not group selfies. With men, admiration demand most strongly predicted the number of selfies posted — although these tended to be group selfies. Men’s leadership scores predicted posting selfies with a romantic partner or in a group. Regarding the vanity subscale, these scores correlated with the number of selfies women posted, but not men. P. Sorokowski et al. speculate that posting selfies might not be as socially acceptable for men as it is for women. They also note that for women, selfie-posting might fulfill their need to showcase an attractive image or group identification, which men might consider less important. The authors note this could mean that men who post a large number of selfies might have a different psychological makeup than other men, which could include a higher level of vanity. They note that men with an average or low amount of vanity might not have the motivation to engage in frequent online self-presentation. They examined two different types of narcissists: Grandiose narcissists, who are more charismatic, extraverted, and attention seeking, and vulnerable narcissists, who are more insecure and neurotic. 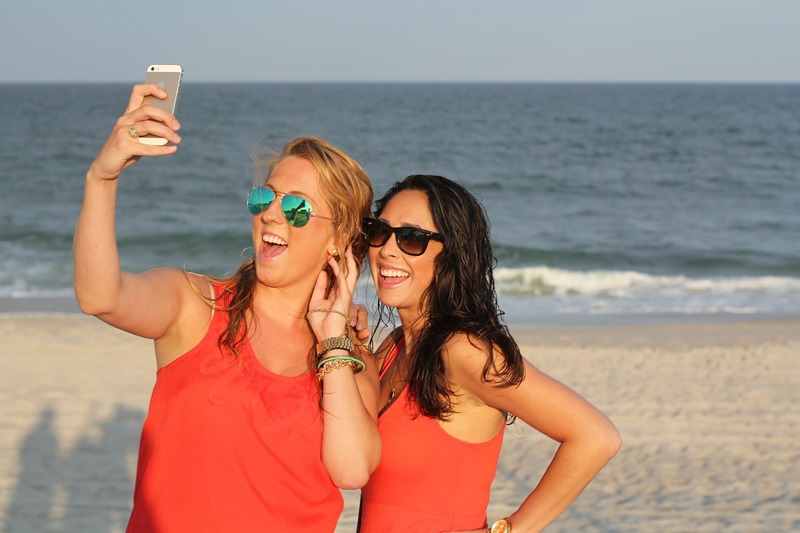 They found grandiose narcissism to be linked with taking and posting a greater number of selfies (especially ones with only themselves in the photo), feeling good while taking selfies, and being motivated by self-presentation. They also found that grandiose narcissists had more online followers and more “likes.” They did, however, note one drawback of grandiose narcissism — coming across as a narcissist. McCain et al. found vulnerable narcissism to be linked with a negative mood while taking selfies, consistent with the fact that vulnerable narcissism is linked to emotionality and vulnerability. They noted that vulnerable narcissism was not linked with likes or likability — suggesting it is not a traitwell suited for display on social media. Apparently, at least when detecting narcissism, edits matter. Emily Lowe-Calverley and Rachel Grievein “Self-ie love: Predictors of image editing intentions on Facebook” (2018) found narcissism to be a relevant predictor of the intention to post digitally altered images on the site. [iii] They note that previous research suggests that photo editing and related activities facilitate superficial behavior and self-promotion. They also speculate that narcissism may be becoming more common due to social media image editing. On the other hand, some people need to edit photos to cover physical flaws or skin conditions. So we cannot jump to conclusions. And remember that many people promote themselves on social media merely because they are social. They want to put their best foot forward, to impress you.